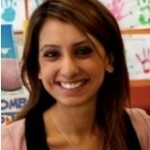 This article questions various aspects of inquiry in the early years. The inquiry approach requires educators to think about their role and their students in a different way. It creates conflict among some educators, as it is a change not only in their practice, but also in their belief (Short & Burke, 1996). It was very enlightening when I understood that my role had shifted from delivering information, to consulting and working with the students on their lifelong learning journey. During our unit of inquiry People make choices about how they move from place to place, under the transdisciplinary theme Where we are in place and time, the students began to explore the transport systems they used over the holidays. We asked the students various questions to prompt their thinking and they communicated their experiences as well as asked each other questions. It became clear to us that this unit of inquiry was relevant and meaningful to the students, as it tapped into their personal experiences and prior knowledge. From these conversations and explorations, we created different transport systems in the classroom using recycled materials. The students were active participants in their learning as they investigated different systems and decided how to make parts of a system. In the classroom, the students were seen engaging in dialogue with their peers or with the teachers. This was a demonstration of their commitment to learning and respect for one another. Undoubtedly, it is a sensitive topic and not all educators would agree that we should talk to our young learners about certain events in the world. However, what if our students raised it? 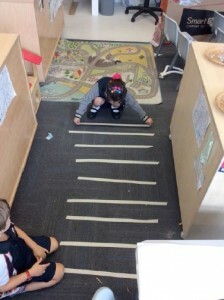 Is it right to not explore the new direction of the inquiry with students in the early years? At many points in our teaching career we find ourselves in the midst of a sensitive conversation and we are uncertain about how to tackle it. What do we say? What if we offend someone? Or we may come across challenging behaviours and realize that there is a cultural context, which we may not be aware of, or we do not agree with. The TransAsia flight 235 was a real issue for one of the students and I question if comforting my student was the appropriate response. It may be a sensitive topic for educators; however, thinking about the IB mission statement, we need to equip ourselves with strategies to work with our young learners. At a young age students begin to form their opinions and beliefs; this is evident from the choices they make. Therefore, I wonder if we want our students to be on the path of international-mindedness, should we give our young learners a chance to explore different perspectives? Thinking back to the classroom inquiry and the authentic direction it was going, I recognized that it could have been explored further. I feel these observations of students and professional reflections raised valuable questions for me. I invite other PYP educators to do the same the next time you face tension in your teaching. 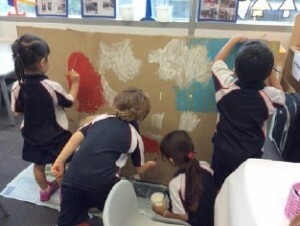 So I ask, how can we, as Early Childhood Educators, make the right instructional decisions in an early years classroom? Davy, I 2011, ‘Learners without borders: a curriculum for global citizenship’, IB Position Paper, pp. 3-10. Merryfield, M 2002, ‘The Difference a Global Educator Can Make’, Educational Leadership, no. 60, 18-21. Short, K & Burke, C 1996, ‘Examining our beliefs and practices through Inquiry’, Language Arts, no. 73, pp. 97-104. The article was originally published in The Red Dot, Issue 4, June 2015 – a Singapore/Malaysia PYP Network Newsletter. 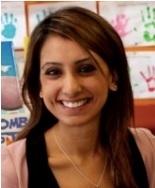 Maninder Johal is passionate about the early years and enjoys teaching young learners. Since working and learning about the IB, she has taken a personal interest in international-mindedness and exploring how this looks in the classroom and the school community. She strives towards teachers sharing their practice, extending ideas with students and teachers and encouraging teachers to reflect on their practice. Are you up to date with the PYP? Download our new handout! When I allow early years students to lead the research and learning with complex topics such as global issues, they never cease to amaze me! They love to inquire and learn about issues affecting the world and provide insight on their solutions. Investigating these big ideas allows us to make connections to our community and classroom as well (i.e. countries fighting over natural resources, is similar to classmates having a conflict over not sharing). Latching on to the voice and actions of our youngest learners through listening to and watching them without preconceived expectations through the lens of an adult can be so rewarding for the student and the adult. Leave a Reply to Richard Poulin Click here to cancel reply.